Back in college, I had classmates from The Maldives and I often gushed about how I dreamed of visiting their islands. Before we graduated, they gave me a brown envelope full of tourist information about The Maldives and I daydreamed about it from time to time. I never threw it away even after transferring between 4 homes in the hope that one day I will need it. I told myself, I’ll go someday for my honeymoon. 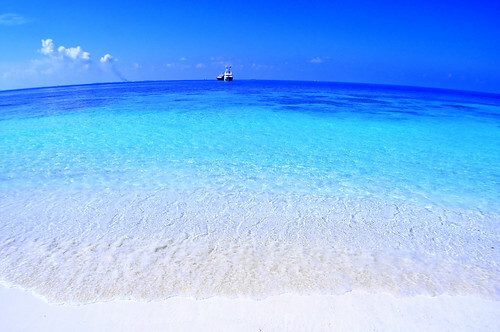 Afterall, who hasn’t dreamt of visiting The Maldives? 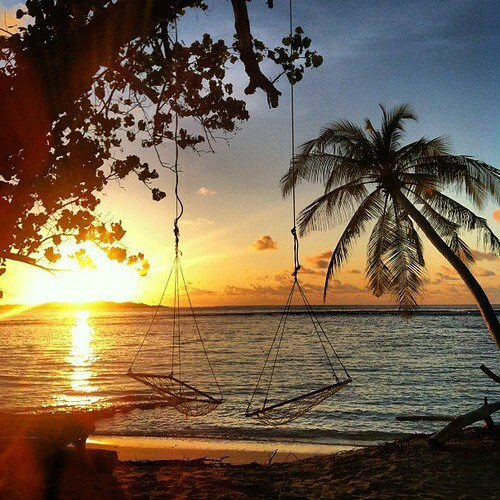 I am not on a honeymoon, but my someday is today. I’m on a plane bound for the capital Malé. I was so excited it's been a challenge to sleep the past few nights! 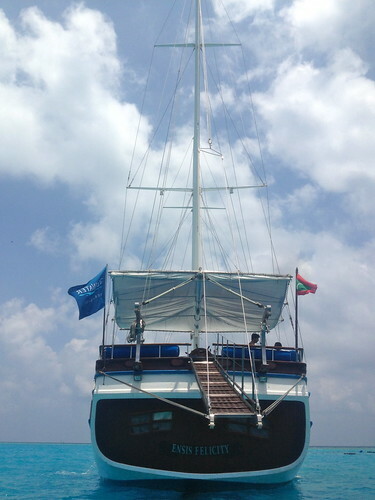 Maldives is only about 1.5 meters above sea level, the lowest country in the world. With the rising water levels due to global warming, there have been accurate calculations that some of the islands are sinking and will soon disappear. Some communities have already relocated to higher ground. I wanted to pay my respects and visit while I still have the chance. So when a surfer friend of mine got an internship at a luxury resort in The Maldives, I knew it was now or never! Although his leave didn't get approved during my visit, not for a moment did I think of backing out. I was gonna enjoy the islands no matter what! My flight arrived at 10 pm so I stayed at UI Inn at Hulumale, only 10 minutes away from the airport. I slept well and walked to the beach the next morning. Hulumale beach is a stretch of blindingly white sand with peelers breaking a few meters away. I saw some surfboards for rent but no one was surfing. I found out later on that it was often too shallow to surf. The island is just an hour and a half away from Malé. In the afternoon, I caught the 3:00 pm ferry to Thulusdhoo where I booked a few nights with Batuta Surf View Inn, a promising surf resort that is locally owned and surprisingly affordable: only $75 per person per day, inclusive of all meals. I was welcomed by the staff from Batuta. I rode on the back of a mini-pick up with a Polish couple who had just endured a grueling 15 hour trip. Arriving right before sunset, I was happy to be in a well preserved local island. You could walk from one end to the other in just 5 minutes! There were only a handful of tourists guesthouses. The island was an organized grid of tiny streets with solid bungalows neatly lined up. Most guest houses are built right on the shore! The streets were sandy but clean. Women with their faces peeking from their burkas were constantly sweeping the streets. Children rode past on their bicycles. Men were hanging out at different places in the island. I was happy to see that my guest house looked exactly the same as the photos I’ve seen on the internet. Batuta was a modern hotel and they knew exactly what tourists wanted. My room was pretty big and I had two double beds pushed against each other. No tacky bedding or curtains here. Just all white. I had four pillows to fill the empty space around me. As soon as I checked in, I walked around to the west side of the island to get a better view of the sunset. I walked through a couple of coconut trees, along Cokes Inn and before I knew it I was on the other side of the island. I enjoyed my solitude on the white powdery sand, distracted by the occasional perfect peelers rushing into the island. During the day, you could hear the echoes of stoked surfers from afar. The solemn sounds of prayer from various mosques, at night. 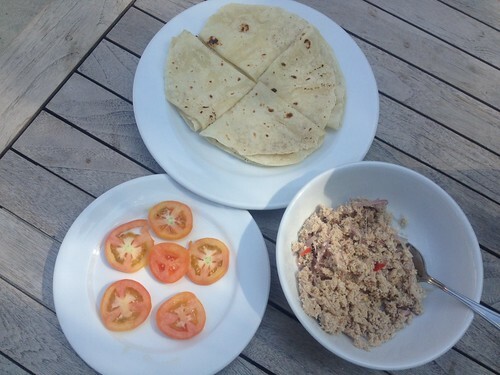 The next morning, right after my local breakfast of tuna flakes and chapatti made by the resident cook Fateema, I met an Israeli named Zac. He was on a yacht with 5 of his best buds who were catching waves across from us. The sun rose higher during our conversation and we walked to the other side of the island to chill at their boat. They had three boats, a tiny one for shallow waters, a medium-sized one to drop them off at surf spots and the huge yacht where they slept. It can easily fit more than a dozen people comfortably. They were living the life! I invited an American woman named Kym to join us on the boat and we all had a blast! Over introductions we had a delicious Moroccan lunch. The Israelis shared how they’ve been so spoiled from surfing twice a day, in the morning and afternoon and feasting for the past week and a half. Kym and I complained about how we couldn’t walk around our bikinis despite the sweltering heat. As soon as we digested, we jumped off the boat and into the turquoise blue waters to cool off. I was back in my element. We surfed that afternoon. The boat anchored in between the two tiny surf breaks and it was surreal. 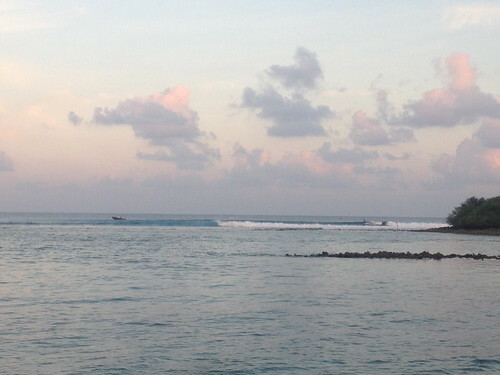 I could see peelers embracing the northern corner of Chickens island and Cokes, fast barrels breaking over shallow reef right across Thulusdhoo. There was a pod of dolphins swimming by our boat. Three of them swam towards us to say hello when our boatman started calling out to them by clapping loudly. Kym and I saluted the sunset on the top deck of the boat. I couldn’t have imagined this moment even in my wildest dreams. I was literally in the middle of the ocean between two continents, Africa and Asia! Last night I had dinner with my temporary family over fake beer. We had a good Maldivian meal at Cokes Inn. When you’re in another place, your fellow travelers become your pseudo family. You share meals, plan excursions together, wait on one another for early boat rides. You spend most of the day with them exploring islands, chilling at resorts and exchanging travel stories under the stars and the bright moonlight. They come from different parts of the world. You haven’t quite mastered how to say their names right. Some, you will never be able to pronounce. But you know very well how he spent his childhood, or what she’s looking for in a guy. You know who’s goofy and who’s regular and what kind of board they surf. You’ve shared wonderful and terrible travel stories with each other, amazed by every one of them. I'm really glad that I pushed through with this trip. If I saved it for my prince charming, or waited until some of my friends could come, then I might be waiting forever. Maldives is the perfect playground for people who love the water. Intimate white sand islands dotted over a vast turquoise ocean. Many of them are blessed with surf on one side, and calm waters on the other- a perfect combination if you ask me. Vibrant marine life is waiting to be discovered just beneath the surface. No photo could ever do it justice. Maldives is heaven on earth. My Maldivian dream hasn’t quite ended yet! Stay tuned for my next blog about Kurumba, a honeymoon island resort in The Maldives! -Allow a minimum of 3 hours between landing and check-in time of connecting flights to avoid being left behind. -Delays are a normal part of traveling and should be foreseen in your itinerary. -Whether your layover is in KL or Singapore, keep in mind that you might have to travel to a different airport for your flight to Male and allow an additional 30 minutes for this. -The locals have a high regard for customs and traditions. 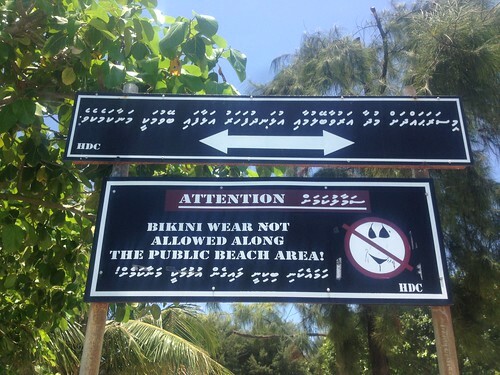 Bikinis are not allowed around public places including beaches in the local islands. -A modest swim suit and a cover-up is a must for women. Also bring light, conservative clothes while walking around the island. -If you want to play it safe, surf with a rash guard and board shorts. -Alcohol and drugs are strictly prohibited. -A free 30-day tourist visa is granted upon arrival as long as you present a valid passport and a return ticket continue the journey out of Maldives. -Be sure to have pocket money of $100 plus $50 per day of visit according to Department of Maldives Immigration. -Prepare your hotel confirmation vouchers and departure ticket out of Male in case immigration wants to see it. Thank you to Mr. Nasih of UI Hotels for accommodating me during my overnight stay in Hulumale and Mr. Shahid of Batuta Surf View Inn for my memorable stay at Thulusdhoo! Adi escaped from the corporate life years ago and her life now happily revolves around surfing, yoga and traveling. Her goal is to live a totally eco-friendly lifestyle and inspire those around her to do the same. She dreams of sharing her AntiGravity Yoga and Vinyasa practice in beautiful tropical destinations around the world and also to speak Spanish fluently! Her family is building Secret Spot Baler one hut at a time. 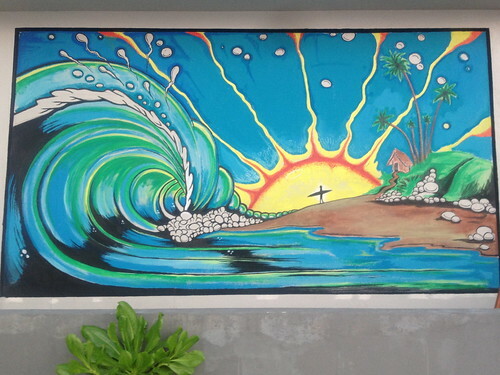 Follow Adi's adventures on Wahine Yogini Travels. sounds like a wonderful experience. My Mom was there for a couple of days and though she claims that some Boracay beaches are actually better, she will not stop describing on how many shades of bright blue there is on Maldivian waters. It really isn't that bad, for us, to go to the Maldives, we just think it's so hyped up because for someone in America to go there, they have to endure flying for more than 24 hours. Glad someone was able to break that notion! Hi Joshua, yes the ticket prices were reasonable considering it is the Maldives! All the more if you're lucky enough to book during a seat sale! There are also many guesthouses under $100 per night.